Have a nice tune in mind? 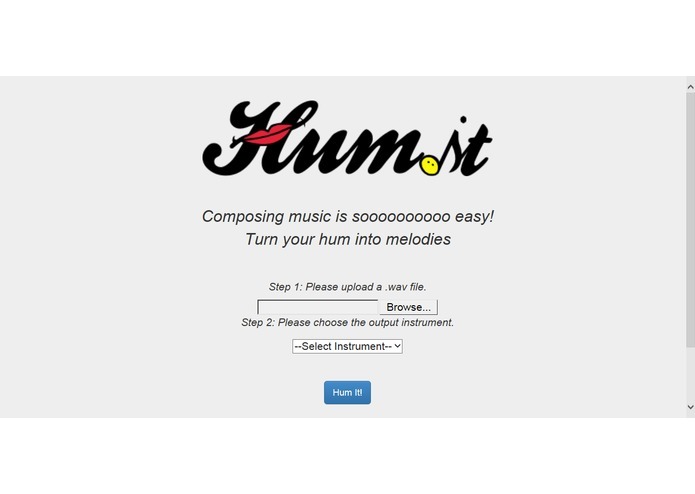 Simply hum it out and upload it to the website, choose the type of instrument to output, and HumIt will automatically create the instrumental version of your melody! So far we have four instruments available: piano, violin, guitar and flute. More instruments and options are comming. 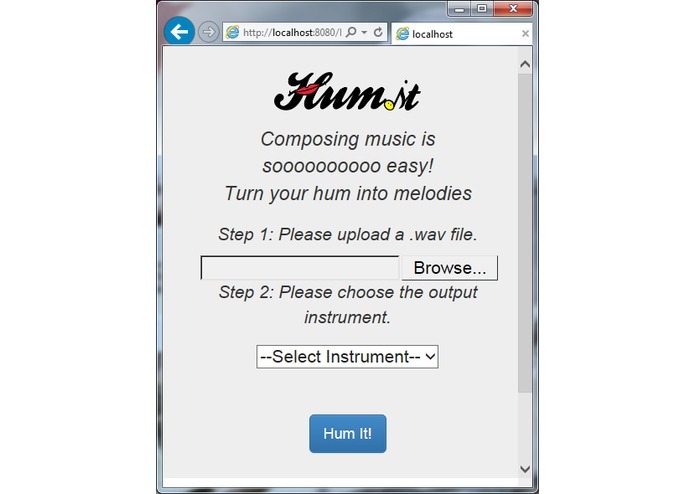 HumIt can also function as an online WAV-MIDI converter. No installation is needed. Support HumIt. Support music lovers.